It is true that only about 1 out of every 100 applicants are ultimately hired as a flight attendant. The importance of preparation cannot be understated. If you are unsuccessful with your flight attendant interview, you will typically need to wait six to twelve months before being allowed to re-apply. Correct and thorough interview preparation will help ensure you are the standout candidate at your interview and are successful the first time around. Through a series of fully interactive virtual interviews combined with the included Flight Attendant Interview Workbook you will be completely and confidently prepared for your airline interview. 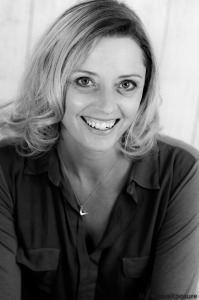 Why do our Flight Attendant clients achieve extraordinary success at their airline interviews? Because we work in the industry ourselves, in fact one of our advisers is a senior cabin crew recruiter for a major international airline. Complimentary Email Support from our professional flight attendant interview consultants. Our inside knowledge will give you the edge in what is one of the most competitive industries in the world. We have helped clients from all corners of the globe with airlines big and small achieve their dream of becoming a Flight Attendant member. When you purchase The Premium Interview Course you will have instant access to the FLIGHT ATTENDANT VIRTUAL INTERVIEW program. 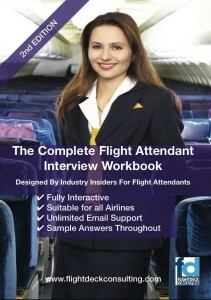 Inside our Online Virtual Interview program you will be able to attend simulated real life Flight Attendant interviews. You can practice as often as you wish perfecting your interview technique. Make an investment in your future with the Premium Interview Course, begin preparing today and see how we can help you live your dream of traveling the world as a Flight Attendant! Our one on one interview coaching sessions can be done from anywhere in the world at anytime via telephone or skype. After receiving your CV and nominated airline our professional interview consultant Sasha will prepare customized interview session’s specific to you and your airline. “The Complete Flight Attendant Interview Workbook” is a fully interactive, insiders guide that will fully prepare you for your airline interview. We standby all our products. If for any reason you are not 100% satisfied we will refund your purchase price in full.